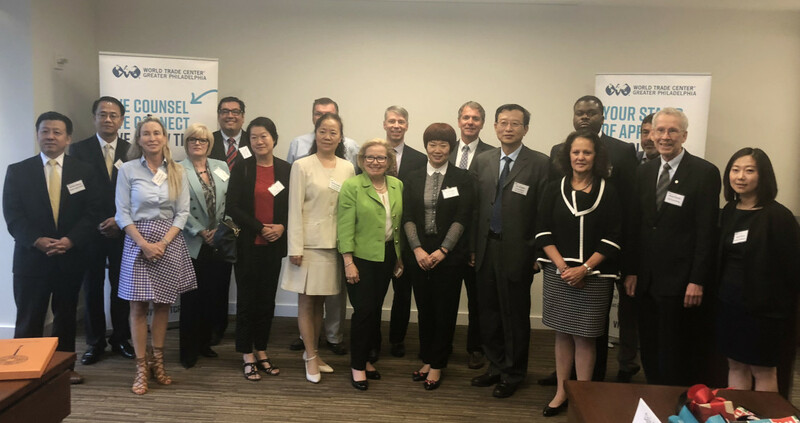 On Friday, June 22, the World Trade Center of Greater Philadelphia (WTCGP) held a Breakfast Briefing exchange with a Chinese delegation from the Tianjin Binhai Hi-Tech Industrial Development Area in White and Williams' Philadelphia office. The meeting brought together representatives from companies in the biopharma, healthcare and medical equipment sector as well as other tech and various industry sector companies looking to develop business ties in the Binhai region. The breakfast briefing supports a Memorandum of Understanding (MOU) recently signed between the WTCGP and the World Trade Center of Tianjin. Tianjin is a Sister City of Philadelphia and the MOU is designed to increase international business between the two regions. White and Williams Partner Gary Biehn, who is Chair of the WTCGP, signed the MOU on a trade and investment mission to China in the summer of 2017. 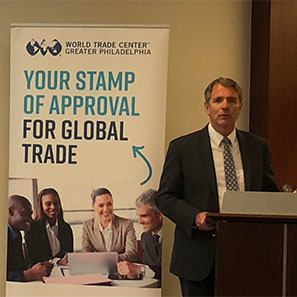 The WTCGP is one of more than 320 licensed World Trade Centers in nearly one hundred countries across the globe and is dedicated to assisting companies and organizations of Southeastern Pennsylvania and Southern New Jersey in the development and management of all aspects of international business. Gary, who serves as Chair of White and Williams' China Business and International Business Groups, was appointed Chair of the WTCGP in 2014.